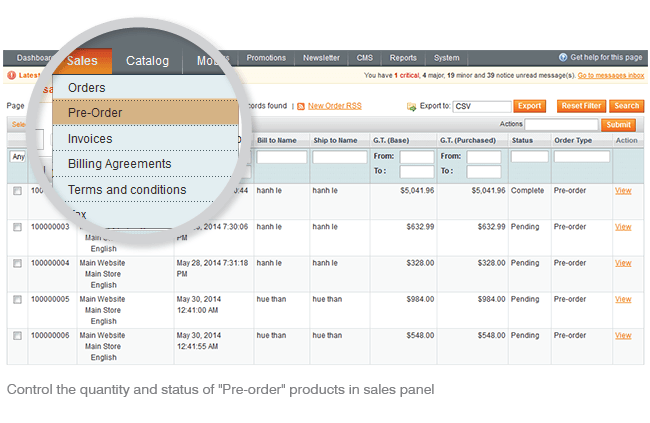 Magento PreOrder extension helps admin to manage preorder products or orders on the out of stock products. The business cycle is changing continuously and rapidly, which raises the need of business owners of being updated about customer’s need, want and demand in order to anticipate the future business context and have a sound move in time. Magento Pre-order Extension grants you the ability to evaluate the customers’ product acceptance level through a very simple way. By clicking on “Pre-order” button, customers not only show you their interests in your products but also their abilities to purchase these items. This provides you with the surface knowledge about customers’ preference and financial status, which are very important to the market research progress. All in all, it’s not only about supplying the deficit product quantity properly but also about how you will target the right customers in the future. The business cycle is changing continuously and rapidly, which raises the need for business owners of being updated about customer’s need, want and demand in order to anticipate the future business context and have a sound move in time. 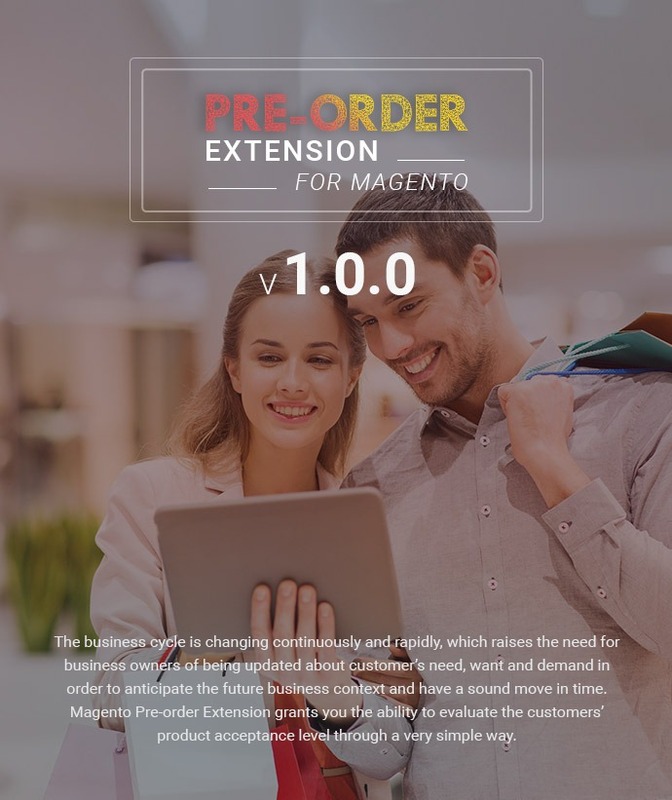 Magento Pre-order Extension grants you the ability to evaluate the customers’ product acceptance level through a very simple way. 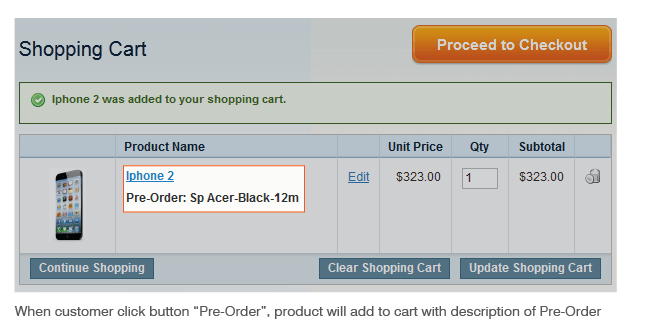 Firstly, go to the category page, you can see "Pre-Order" button will replace for "Add to cart" button. After by clicking on “Pre-order” button, customers not only show you their interests in your products but also their abilities to purchase these items. Step 1: Install extension package as the user guide. Step 2: Enable or disable extension: Go to System >> Configuration >> CMSMART Extensions >> Pre-Order Extension. 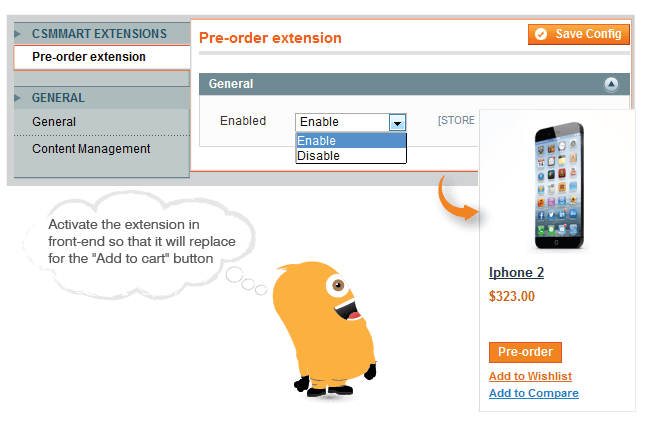 I want to ask is whether the extension can pre-order filter with sku on the backend? 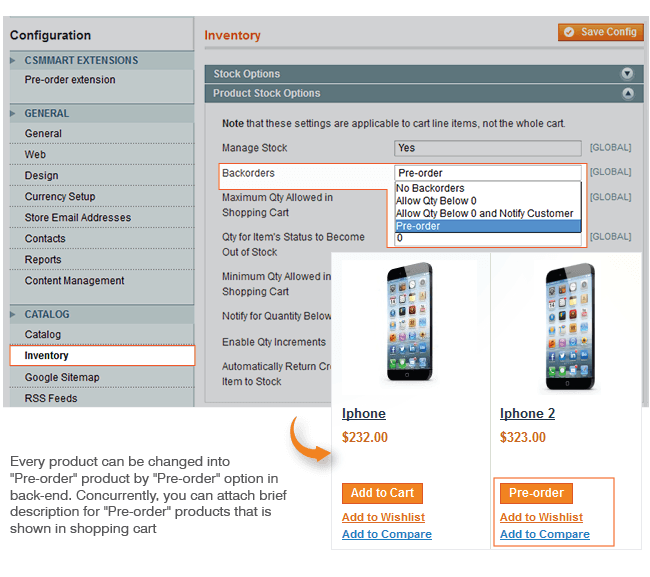 I am interested in this extension, but I need to filter orders backorder with SKU. Please reply. I'm sorry, but I don't understand what you want. Please describe in more detail. 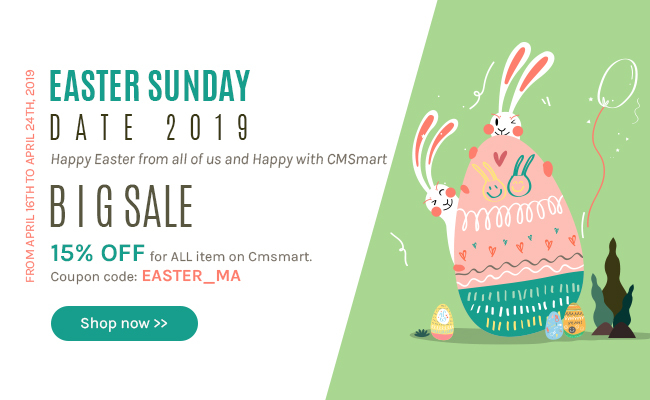 I'm happy if you create new ticket at http://cmsmart.net/support_ticket/ and describe what you want. Our support guys will understand and assistance faster. Thank you so much for your purchasing our products. I am happy to support you. Please follow your ticket, our developer will answer as soon as possible.